Numerous Doonhamer connected players have competed in the FA Cup with distinction and some with success. Success can of course be measured and debated from different viewpoints. A strong case for the most successful Doonhamer in the FA Cup is a relatively unheralded character long before the formation of Queen of the South FC. Thomas Mitchell was born in Kirkmahoe a few miles to the North of Dumfries in 1843. He moved to Blackburn in 1867 and as a well respected referee became the first man to officiate at football matches in each of Scotland, England, Ireland & Wales. In 1884 Mitchell became Manager / Secretary of Blackburn Rovers, the year of Rovers’ first FA Cup victory. The final opponents were none other than Glasgow side Queen’s Park fielding close to the entire Scottish international side. The Scots had beaten another Blackburn side in the semi final, then reigning FA Cup holders Blackburn Olympic (Olympic’s victory as the first FA Cup win by a club with working class roots was a landmark point in English football moving away from merely being a pastime for the wealthy classes). Regarding Mitchell, what is unclear is whether or not he was in the manager’s post in time for Rovers’ 2-1 final victory (even Blackburn Rovers F.C. Historian Derek Jones, who has provided much useful info for qosfc.com before, is unable to confirm this for us). 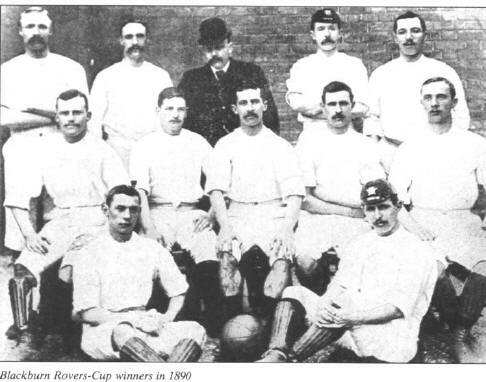 The victory provided the spur for Rovers to go on to become the dominant club of the two Blackburn rivals – Olympic went defunct in September 1889. What is not a matter of uncertainty is the success Rovers enjoyed in the remainder of Mitchell’s reign. The same two sides met in the final again the following season with Rovers winning once more, this time 2-0. Then for the third straight year the season after, Blackburn were again in the final played at Kennington Oval. The outcome was a 0-0 draw against West Bromwich Albion prompting a replay at the Baseball Ground in Derby a week later. A 2-0 win allowed Mitchell to get his hands on the trophy again. 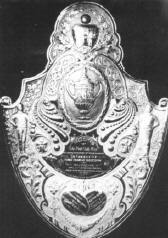 Rovers were given a special shield to commemorate the three straight wins. The following season witnessed Mitchell’s side in opposition to another Scottish club, Renton. This second round tie marked the end of Rovers’ three year reign as holders with Renton winning a replay 2-0 after a 2-2 draw. With the advent of professionalism and clubs needing higher income to cover the additional player costs, in 1888 Aston Villa director William McGregor proposed that prominent clubs should meet both home and away in order to increase gate revenue. Mitchell favoured the suggestion and played a significant role in the formation of England’s Football League. Rebuilding after the ageing of the cup winning side, Rovers made the semi finals again in 1889 before losing to Wolves 3-1 in a replay after a 1-1 draw. Mitchell then set about bolstering his rebuilding by recruiting four top players from North of the border. In 1890 Rovers finished third in the League. The FA Cup returned to Blackburn when Mitchell’s team again won the trophy, this time with an emphatic 6-1 win against Sheffield Wednesday - no team in the final has scored more goals. After the final success, Rovers moved to a new ground, Ewood Park. Mitchell’s side returned to the Oval for the final again in 1891. The opposition was Notts County who a week before the final had thumped Rovers 7-1 in Blackburn. There was no repeat of this in the Final as Mitchell’s team lifted the trophy yet again this time winning 3-1 for the fifth Rovers FA Cup win in eight years. Ex Queen of the South Wanderers centre half David Calderhead was in the defeated County line up. In 1893 and 1894 Rovers again performed well in the cup but each time were beaten in the semi by the eventual winners - Wolves won 2-1 in ‘93 and Notts County beat Rovers 1-0 in ‘94. If we exclude 1884 due to the uncertainty of Mitchell’s arrival date, in the next 10 seasons Mitchell had acquired an FA Cup record of four wins and an additional three semi final appearances. Rovers were acquiring financial troubles with the Ewood Park redevelopment costs not matched by increased attendance revenue. This translated into decreased performance on the pitch and the glory days at Ewood Park were over for some decades to come. Mitchell’s team still performed solidly if unspectacularly in the League never finishing lower than 9th in all Mitchell’s time at Blackburn Rovers. 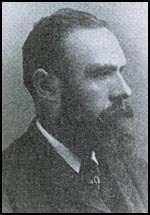 12 years after joining Mitchell resigned from Rovers in October 1896. The effect appeared immediate as the club finished the season in 14th place. The following season only League expansion saved them from relegation. Mitchell took up a new post with Woolwich Arsenal as the London side were then named (they relocated across the Thames to North London in 1913 and were renamed as “Arsenal” the year after). Tom Mitchell thus became the first professional manager of what is now Arsenal FC. However his stay in Woolwich was short and he resigned on 10th March 1897. Mitchell returned to Blackburn where he died in August 1921. His coffin was carried by four of his ex FA Cup winning players, Herbert Fecitt, Johnny Forbes, James Forrest and Nathan Walton. The Doonhamer connections with Blackburn Rovers did not end with Mitchell. 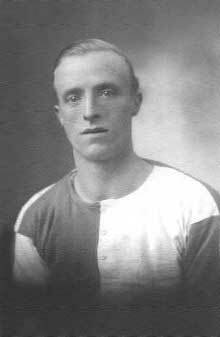 For example Tom Wylie, Jimmy McKinnell and Willie McCall all played for both Queen of the South and Blackburn Rovers in the 1920s (Wylie & McKinnell played for Rovers in their 1925 FA Cup semi final defeat by Cardiff City). Joe Tulip had spells on the books at both clubs in the 1930s as did Jackie Oakes in the 1940s. And as recently as last weekend Dumfries youngster Grant Hanley debuted impressively in defence for the Rovers first team in the 1-0 league win against Aston Villa.